Kai Redmon is a great agent that fortunately I have the opportunity to work with. His staff is extremely talented and is always 'Above All in Service'. I highly recommend this agency for all of your insurance needs. We value our customers' opinions and are happy to share their experiences with you. 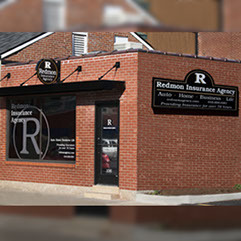 If you would like to leave a testimonial of your experience with Redmon Insurance Agency, please leave your comments here. My name is Sandra Rose and I have Automobile, Homeowners and Business Insurance with Redmon Insurance Agency in Collinsville, Illinois. I am writing this to acknowledge the service that was given to me today. I was on my way to church this morning in St. Louis for some spiritual nourishment when the tire on my small truck blew and I managed to get to the side of a very busy interstate in the pouring rain in a neighborhood that makes the news nightly for violence in the area. There was a guardrail that prohibited me from pulling far off the road so that my vehicle was partially in the right driving lane and my small truck shook violently as every vehicle passed. I was stranded there waiting for road assistance as it was a busy time with the harsh weather and poor visibility conditions. My agent, Kai Redmon, heard about my predicament via email after I phoned Erie Insurance headquarters for assistance. He immediately called me and said he was on his way to assist me. I protested that it was not necessary; it was 20 miles away. He was there in less than half an hour,...I had moved myself to the passenger side of my vehicle as the traffic rocked my truck back and forth in the pouring rain. I knew that I was in danger but did not want anyone else to be in danger also. He pulled his truck up behind mine and acknowledged this was indeed a dangerous situation and he called 911 to have the city police send a vehicle to make a safety zone and redirect traffic away from the right lane that I was stranded in. As I leave Illinois to move to Florida, I wanted to take this opportunity to let you know just how much I enjoyed having my insurance at your agency for the last 5 years. First of all, from the moment I visited your office, I was treated so warmly and professionally. I even remember your dad asking if I wanted to join your staff for a pizza lunch. I specifically want to acknowledge Rebecca who has worked with me so efficiently on my business insurance. I was a new business owner 5 years ago and she has done a fantastic job of continually answering all my questions in a patient manner, responding to emails with expediency, ensuring that I had appropriate coverage and above all demonstrating a truly impeccable level of customer service. As I attempt to get coverage in Florida, I am trying to find an efficiently run office like yours, that represents different companies, with a staff who doesn't treat me like a number, and who greets me on the phone with warmth and enthusiasm. You have set the bar high Kai, so it may be an impossible task to find an agency like yours, but I do love challenges. 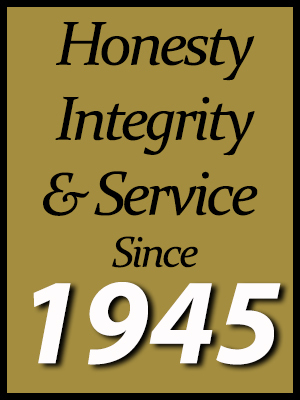 My sincere thanks and appreciation for the past 5 years of superior insurance service and of course great rates! "Creating Smiles......one Kitchen at a Time!" "I cannot say enough good things about the Redmon Insurance Agency and the customer service and support I’ve received from Kai and his staff. I met with Kai early in 2012, after having had a horrible experience after a hail storm in April 2011 with the major company that had insured my home for more than 30 years. Kai recommended Travelers, and I signed with them on March 1, 2012, and on Saturday, April 28, 2012 this area was hit with the worst hail storm in my lifetime. The damage to my home was exponentially worse than last year, and after the nightmare I went through, I had no idea what to expect and was very nervous since I’d been with Travelers for less than two months. I talked with Kai a few hours after the storm, and he placed the claim that Monday. The adjuster from Travelers was a genuinely nice man and very thorough. He gave me the estimate and a check on the spot, and explained the estimate line by line, suggested I get several estimates and gave me instructions on how to proceed if additional damage was found. After a contractor discovered additional damage and contacted Travelers, I got a call from Travelers letting me know it was approved. My contractor has such a backlog that I have no idea when all the work will be completed; however, I don’t have to be concerned about my deadline to be able to recover the depreciation payment. I learned the other day that when Travelers issued payment for the additional damage, they included the depreciation as well, because it was clear to them that I was going to have the work done. Kai and his staff and everyone I’ve spoken with at Travelers have been absolutely wonderful. What could have been a nightmare has been a painless experience. Travelers has been amazing. 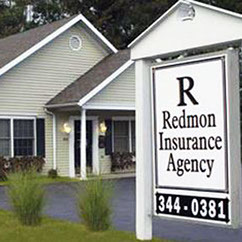 I’ve been recommending the Redmon Insurance Agency and Travelers to everyone who will listen." 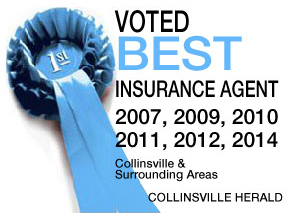 "Truly the best agency we could find to address our ever changing insurance needs. Kai and his team always go "all in" to make certain we are completely satisfied with the level of coverages, price, and we are confident that they will represent us if faced with a need to make a claim."